Dictionaries define miracles as extraordinary events that go beyond scientific and natural laws and are therefore attributed to a divine intervention. Science is a body of knowledge that encompasses the systematic study of behavior and structure of both the natural and physical worlds through observation and experiment. Let us identify the basic requirements for a scientific inquiry...First, the event has to be observable. In order for scientists to conduct an experiment, empirical questions are necessary which means that the event in question has to be observed by human eyes/senses or by any other ocular equipment. Second, the event has to be repeatable. In order for a scientist to claim something, he should be able to reproduce or repeat an experiment and get the same result. An experiment or hypothesis is useless if the results are not identical to the prior experiments conducted because then it would mean nothing. And third, the event has to be testable. Scientific processes rely heavily on collected data and measurements. Without these things, a hypothesis will remain a hypothesis. So, can miracles be explained by science? I'd say, there are miracles that science will not be able to fully explain in all scientific details no matter how much they try in this lifetime or the next. Not because these miracles are inexplicable or transcendental but mainly because these miracles do not meet the basic requirements for a scientific inquiry. In the end, it all boils down to the fact that we are all entitled to our own beliefs. 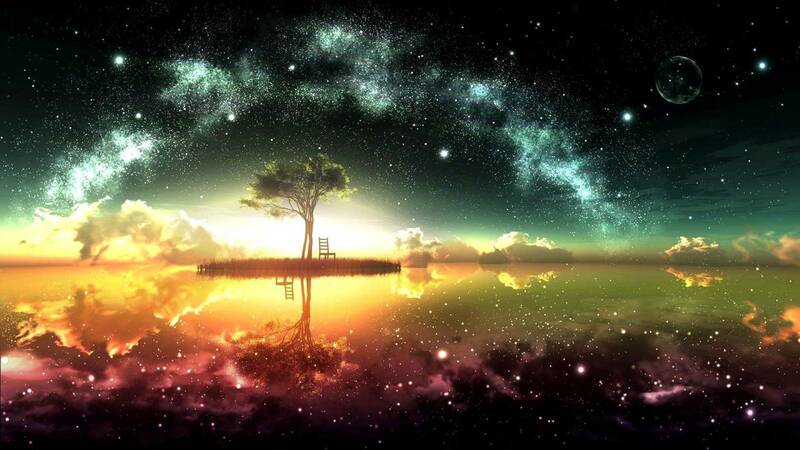 Miracles or not, our world is full of inexplicable things that happen each and everyday of our lives. Manna is defined in Exodus 16:14, 20-21, 23, and 31 as “a fine and flaky substance which resembles frost. It becomes infested with maggots when left out, melts in the sun, can be baked, was like coriander seed, white and tasted like wafers in honey”. Numerous scientific explorations have tried to solve the mystery of manna and for years, scientists and explorers have tried their best to find that earthly product. Most popular and widely accepted theory was that the tamarisk may have been the manna described in the Bible. However, it is important to note that this theory is mainly substantive and not definitive. Tamarisk consists of sugar and it is not enough to sustain man because it has no protein and other nutrients. The quantity of tamarisk manna is not enough to feed a large multitude for 40 years! At the peak season, present Sinai Bedouins can gather a total of 600 kg of tamarisk manna but to feed a multitude for 40 years? It is just impossible. There is not enough insect to supply food for the entire Israelite tribe for such a long period. Furthermore, the explanation that tamarisk manna is called “man” by today’s Bedouins in Sinai proves nothing but a mere reinterpretation to force text to agree with one’s theory. Throughout the Bible, Christ’s resurrection is the greatest miracle of them all. Such a miraculous event paved the way to Christianity. Without the resurrection, the disciples would not have fully believed in Christ and preached his Gospel. Today, many non-believers invented naturalistic theories to disprove the resurrection but they failed miserably. One theory invented by skeptics was the “Swoon theory” which states that Jesus didn’t die at the crucifixion but mainly passed out and went into “coma”. 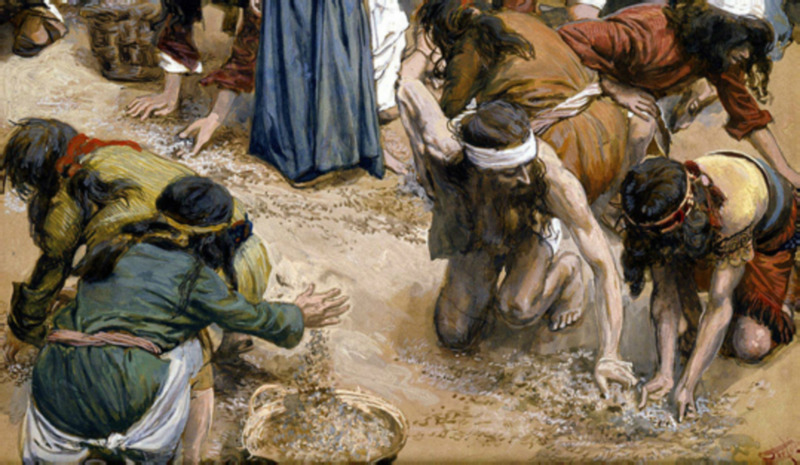 I would imagine it like this "the Roman soldiers ordered for Jesus' burial thinking that he was dead and after 3 days, Jesus woke up from “coma” and with his bare hands he pushed the boulder open and escaped the guards and showed himself to his disciples to make them believe, only to die later due to wound infection". That is ridiculous! Another theory is that Jesus faked his death through a drink on the cross which caused him to lose consciousness. Others say that the disciples were just disillusioned and were hallucinating about what they saw. Let us take a closer look at these theories. 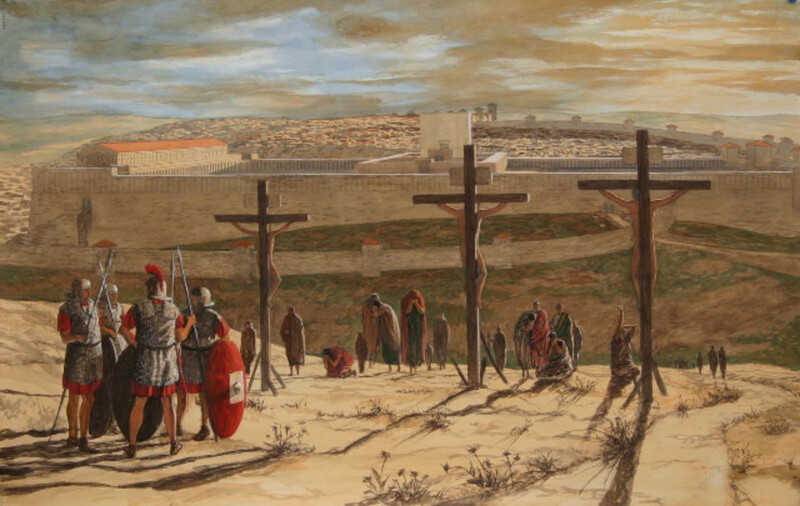 First, during the Roman Empire, everyone who was punished with crucifixion, died. No one with an “earthly body” no matter how fit he is would have survived the ordeal. Jesus’ Crucifixion was a method of excruciating punishment combined with severe flogging, exhaustion, trial after trial, crown of thorns and heavy beating while walking and carrying the cross. The flogging alone would have been deathly. Many have died while being scourged due to severe blood loss. Secondly, the Romans were experts in execution. The crucifixion was the ultimate punishment during that time and no one lived to tell the tale (except for Jesus of course). Jesus died at the crucifixion. When his side was pierced, blood and water poured out. The Romans knew what they were doing and they were extra careful to ensure Jesus’ death because of the growing believers and the fact that Jesus’ preached about his own resurrection. 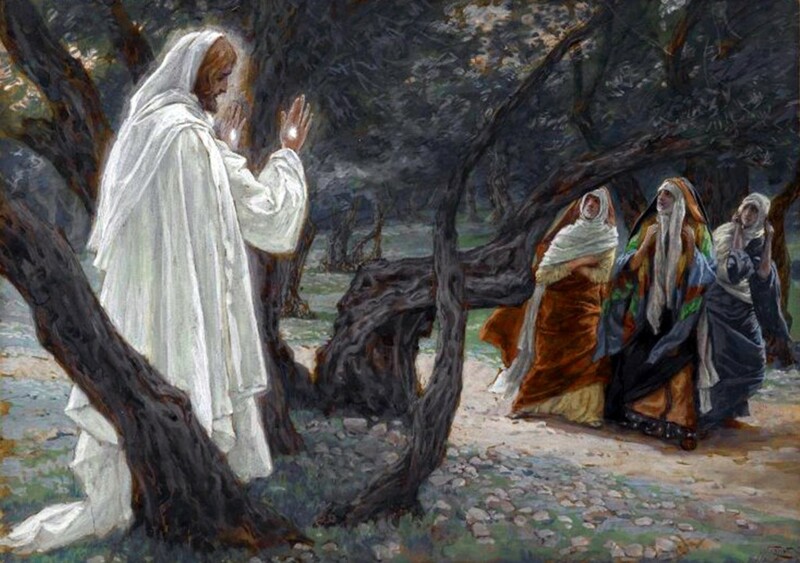 Thirdly, had Jesus survived the crucifixion and woke up from coma-state; he would still be very weak to roll the heavy stone all by himself without alerting the guards outside his tomb. Lastly, Jesus showed himself to the women first. Women in those times do not carry as much rights as men so if Jesus wanted to show the world that he had risen from the dead, why the women? No one would believe a woman’s testimony in those times. The story of Exodus is perhaps the most popular story of triumph in the Old Testament. It is celebrated up to this day. As such, many scientists attempted to explain the entire phenomena through naturalistic and scientific means. Although natural laws may be applied to a lot of strange occurrences in nature, scientists were not able to fully explain and extract significant evidences to prove that their theories were true and not mere assumptions. Considering the fact that the plagues of Egypt indeed happened through natural disaster, then why is it that only the Egyptians seem to suffer from everything when the Israelites and their families all live in Egypt with the Egyptians at that time? Natural disasters affect everyone and if there is anyone who is most likely to die in times of natural crisis, it would be the poor Israelites. Moreover, the death of the first born is the most important part of the 10 plagues and yet scientific and naturalistic theories all lack significant explanation and no evidence at all to support their claim. 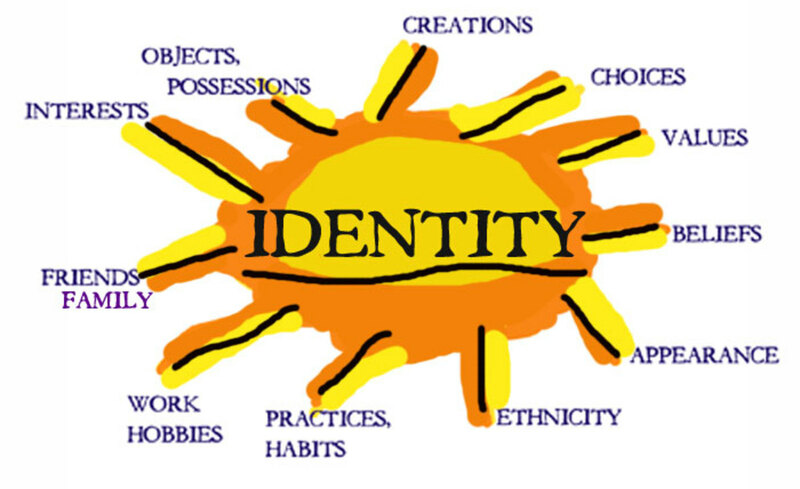 We have learned before that Egyptian society is built on Primogeniture principle where the first-born of every family is the most important. The Pharaoh for instance, is always the first born of the first born of the first born. That is how they continued this hierarchy in ancient Egypt. 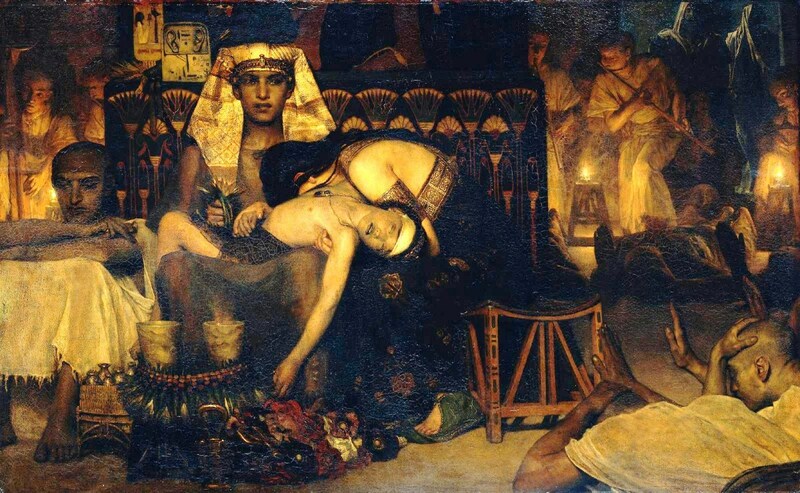 With the death of every first born, the entire Egyptian civilization crumbled. Now, the question is, if the death of the first born was caused by eating the poisoned grain, then what about the others? Surely the other siblings would have followed suit after the first-borns had their fill. Why didn’t they die? Why only the first-borns? And how did the Israelites escape such an ordeal? Surely, the Israelites would have lost their first-borns as well, or worse they would have lost more of their family members? Dr. Robert Miller who is an associate professor from the Catholic University of America believed that the problem with naturalistic explanations is that they fail to consider the entirety of the phenomena. The whole point of the Exodus story is that the Israelites were freed from Egypt not by natural causes (because surely the Egyptians would have had more reasons to hold on to their slaves in times of natural disasters than let them go) but by the hands of God. The parting of the red sea has been the subject of many discussions for decades. Some experts believe that the event was made possible because of a low tide phenomenon that enabled the Israelites to cross. Some even claim that the Red Sea refers to the Sea of Reeds which is a shallow lake full of reeds hence, the name. Unfortunately, these naturalistic claims failed to address the descriptions in the Bible. When the Israelites reached the Red Sea, they started complaining to Moses and told him that they’d rather die in Egypt than drown so this means that the Red Sea is deep and therefore dismisses the idea of a shallow lake called the Sea of Reeds. Reeds normally grow in shallow waters and the amount of water in a shallow lake would not be enough to make a wall of water on both sides even if a strong wind blows all night. Additionally, when the winds died down, the waters swept back and drowned the Egyptians with their horses and chariots. How could this be possible if the Red Sea is just a shallow lake? The word “wall” is also dismissed by some naturalists especially those who believed that the low tide phenomenon was the answer to this miracle. They claim that the word “wall” meant “a brim or just a wave”. Unfortunately, they forgot to consider that the word “wall” was used over 140 times in the Bible particularly in the Old Testament referring to the city walls like the story about the collapse of the wall of Jericho. This miracle of feeding the multitude seems so simple to understand. 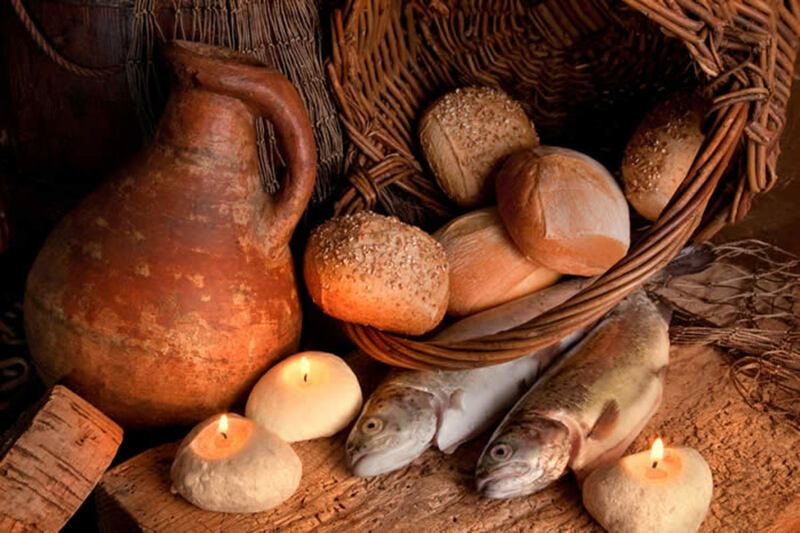 A young boy offered 5 loaves of bread and 2 fish and after Jesus’ thanksgiving prayer, he gave the bread and fish to his disciples who in turn gave the food to the people. The multitudes of 5000 were all satisfied and they even filled 12 baskets of leftover food. Modernists claim that this story is not that very miraculous in the sense that it is a lesson in sharing. They believe that some people brought their own food and decided to start sharing when a boy shared what he had. Theologians on the other hand contest this claim because it was clearly stated in the Bible that the people had no reserves and they were all on the verge of exhaustion. If it were true that some people did have some reserves with them and decided to share, their reserves would not have been enough to feed all 5000 of them and still be left with 12 baskets full of food. Moreover, if it is indeed a mere story about sharing (nothing bad about it though) Jesus would have been just a “moral cause”. The Bible said that Jesus fed the multitudes so if it is just about sharing then the Bible should have stated “the people fed themselves”. As of today, scientists and nutritionists have not found any other explanation to contest the miracle of feeding the multitude. When Mary, Jesus and his disciples were invited to a wedding feast in Cana, it marked the first social appearance of Jesus after many years of secret life. The wedding in Cana was his first miracle and it was the start of his public ministry. When Mary came to Jesus and told him that there is no more wine, Jesus had 6 stone vessels (each can accommodate more than 30 gallons) filled with water and he ordered one of the servers to scoop wine and have the head waiter taste it. The head waiter found the wine to be a “good wine”. Now, the question is did Jesus really change water into wine? The answer is yes. Was it an intoxicating wine? No. What did Jesus do? He transcended time. People in those times normally take months to process and harvest grape juice and Jesus did it right at that moment. According to the Bible, after the wedding feast in Cana, Jesus and his disciples went to Galilee on a boat. Jesus prayed and his disciples waited. When night came, strong winds blew and waves became high. The disciples saw Jesus walking on the water towards them. They thought he was a spirit and they started to fear. Jesus calmed them down and Peter asked to go towards Jesus. 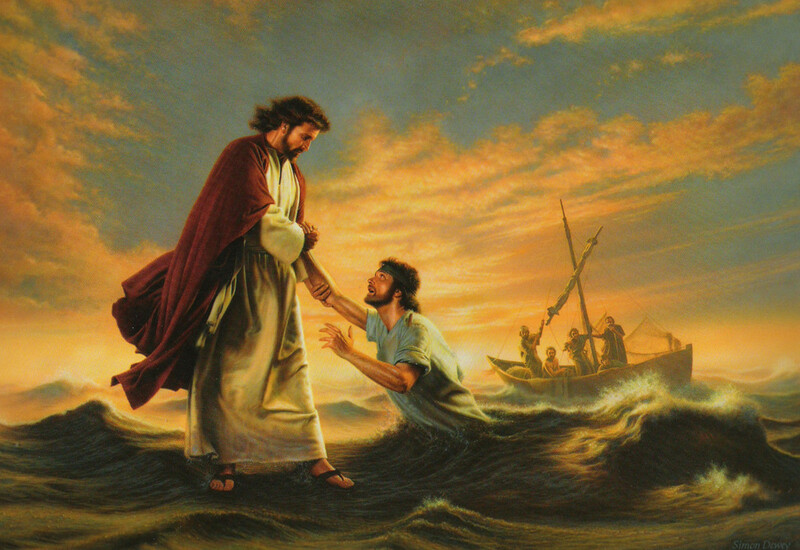 Peter walked on the water and halfway through; he became afraid and started sinking. Naturalists came up with a few scientific explanations to disprove this feat. Some of them say Jesus was walking on ice. That is very funny! The climate in Galilee during that time would not be cold enough to inhibit ice formation. And if he was indeed walking on ice how is it that the Bible describes the sea as turbulent (with strong winds and high waves)? There can’t be high waves and ice at the same time. Others explain that Jesus was merely walking on a ledge. Now, the three Gospels stated that they were far out at sea about a few kilometers so there can’t be any ledge in the middle of the Sea of Galilee. 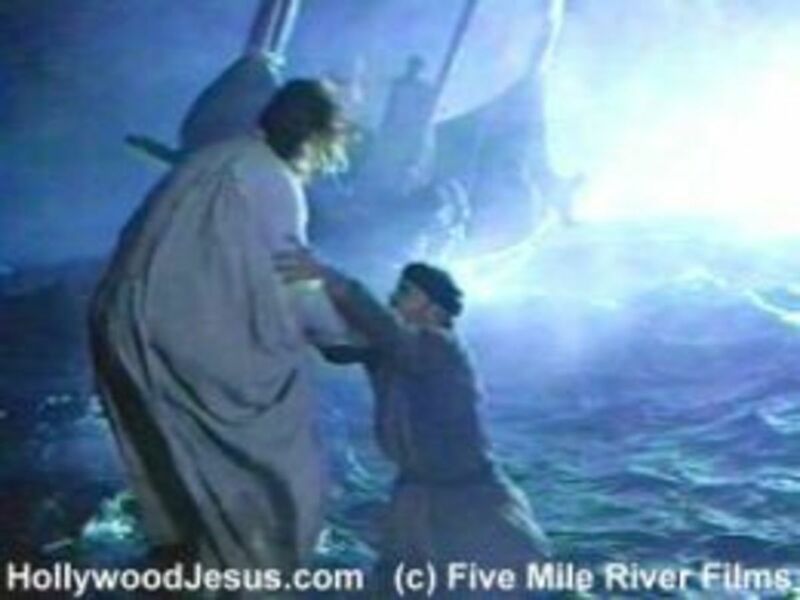 Lastly, other naturalists believe that Jesus was riding a low boat himself thus his disciples mistaken him to be walking on water. But with the turbulent waves and strong winds, the low boat would not stand a chance. Genesis started with the creation. God created the world in 6 days and on the 7th day He decided He lost a lot of Power and so He rested. This story of creation is the most contested story in the Bible especially by evolutionists. At present, scientists use the Big Bang theory to explain the birth of the universe. According to this theory the birth of the cosmos began with an explosion from a single infinite energy density. However, even to this day, scientists have no explanation what was there before the Big Bang. If there is nothing, then how would there be an explosion out of nothing? One geneticist, Francis Collins wrote “The Big Bang cries out for a divine explanation. It forces the conclusion that nature had a defined beginning. I cannot see how nature could have created itself. Only a supernatural force that transcends time and space could have done that”. Charles Darwin’s theory of evolution, on the other hand, is popularly supported up to this day. But the question is where did life really come from? What is the origin of life? Science has been constantly looking for materialist answers to the origin of life but they cannot find any. Biogenesis is a scientific theory which states that “life requires a living source”. If this is true then what gave life to the first ever single-celled organism that evolutionists believed to be the origin of all living things. The Bible is very clear to say what could be “that Source of life” but until humanity learns to accept that “Source”, the origin of life, will forever be shrouded in mystery. 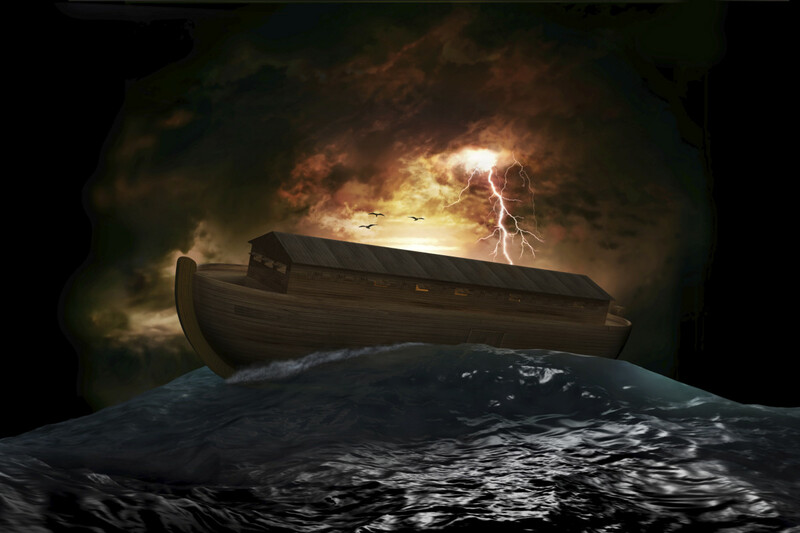 The story of Noah’s ark and the Great flood is a popular and widely read story. However, scholars and scientists object to the credibility of it. 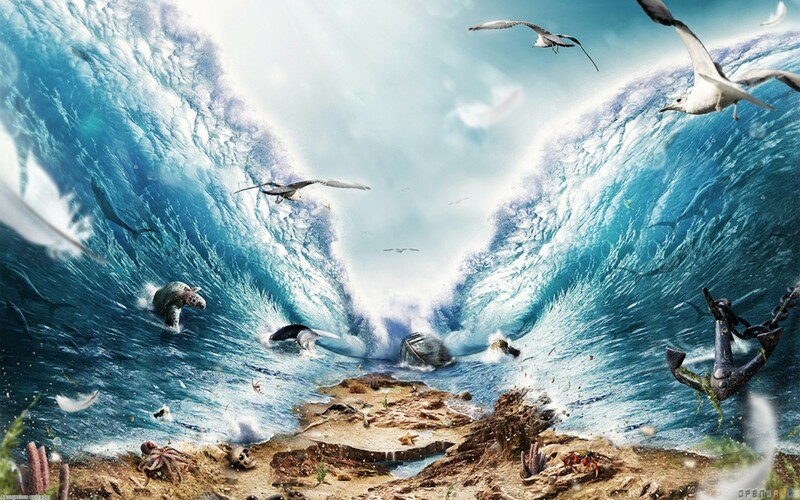 They believe that a flood of such magnitude is impossible and that there could be no way that it can cover the entire Earth and wipe away everything except those who were saved inside the ark. Many non-believers tried to create different versions of what could have really happened. Some believe that the flood was just a local flood and not worldwide because there is not enough water in the world to cover everything up to the tip of the highest mountain that time. To counter the local flood theory, let’s assume that during Noah’s time, all the continents were still connected or still quite close to each other. Now the Bible said the highest mountain was covered in water. To cover the highest mountain, the flood has to be worldwide and not just regional…plain and simple. More importantly, if the flood was only regional, then why would God order Noah to build an Ark for him and his family and the animals if they had the option to just go to another place where there is no flood? Noah would have had no need for an ark because the animals can just climb to a higher ground to save themselves. Furthermore, if the flood was local, then God is not trustworthy because He would have broken His own promise of “never again shall there be a flood to destroy the Earth” countless of times now because today we experience a lot of local flooding. Even God made a rainbow as a sign of that covenant so He must be really serious not to do such flood again. Another question is where will all the water come from? The Bible said that all the fountains of the Earth and the window of heaven opened up. If you add some volcanoes spewing tons of magma both below and above the water, the effects would be unimaginable. Sir Isaac Newton once believed that it could have been a comet or a meteor. Another question asked by non-believers was that, “how did those animals fit inside the ark and how did 8 people manage to feed and control them”. Realistically, Noah would have had no power to bring all those animals there. God said He will bring the animals to Noah and he will guide them inside the ark. If the animals were fully-grown, then they would have been uncontrollable and would not fit inside the ark. So these animals would have to be young to make them controllable and to make them all fit inside the ark. The darkness of their “nests” and the rocking of the ark must have helped in calming them. 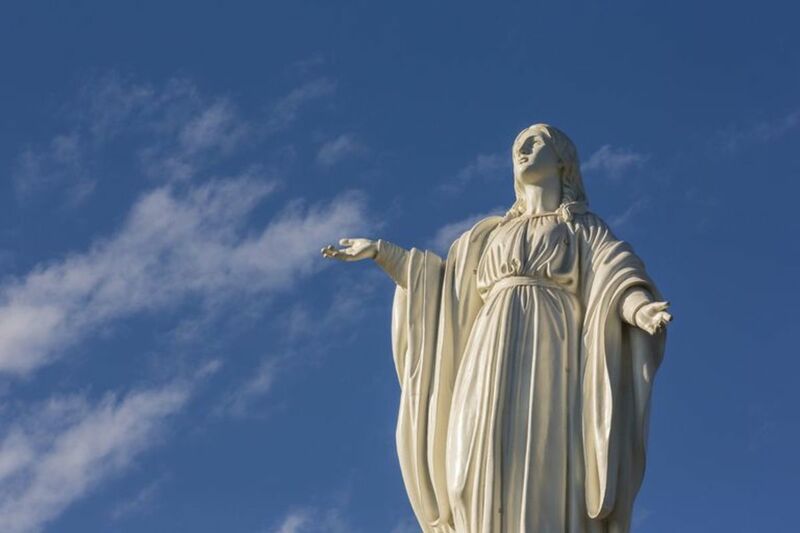 The Immaculate Conception is undoubtedly the most important miracle in the Bible. It is very important because it is the fulfillment of the Messianic prophecy. Starting from the story of Creation, God already gave clues about the future Messiah. Different accounts can be found in the books of Genesis, Exodus, Numbers, Deuteronomy, Ruth, Samuel, Psalms, Jeremiah, Daniel, Isaiah, Malachi, Zechariah, Hosea and even the Hebrew Bible. Non-believers suggest that Jesus was the son of Joseph and that Mary was just too ashamed to admit that something happened between Joseph and her before the wedding. Actually, this is so untrue because Joseph initially decided to divorce Mary in secret because he thought that Mary got impregnated by another dude. This means, that Joseph and Mary hasn’t done it yet. Similarly, Joseph cannot be the biological father because Joseph is from the lineage of Jeconiah (the cursed line) and the Messiah has to come from the line of David. The Virgin birth is necessary because Jesus is supposed to be “without sin”. As a perfect sacrifice, Jesus will have to be born and die without sin. The world is full of sin and so in order to be born without sin, Jesus should not have a biological human father. The fact that Jesus was born without a human father testifies to His divinity, and the fact the He is born of a human (virgin) mother proves His humanity. Therefore He is both divine and human. Had another read of this article. Really good. Lot's of discoveries have been made world-wide, But just touching on the "Great diluge" They say there's not enough water to cover the very mountains ? At the time there was, but the waters receded over time. Now we are left with over 73% of the earth's surface covered in water. The generations that came after that diluge was well aware that a global flood did take place in the past, and in most cultures of the world they have their own records of that event "independently" of other nations, including babylonia. Jennifer. "Love this" but need to read it again in the next few days.